This controller comes with four preset Sound Colour FX buttons – Noise, Crush, Pitch and Filter – which you’ll be able to customise in the future with upcoming rekordbox dj Plus Packs. 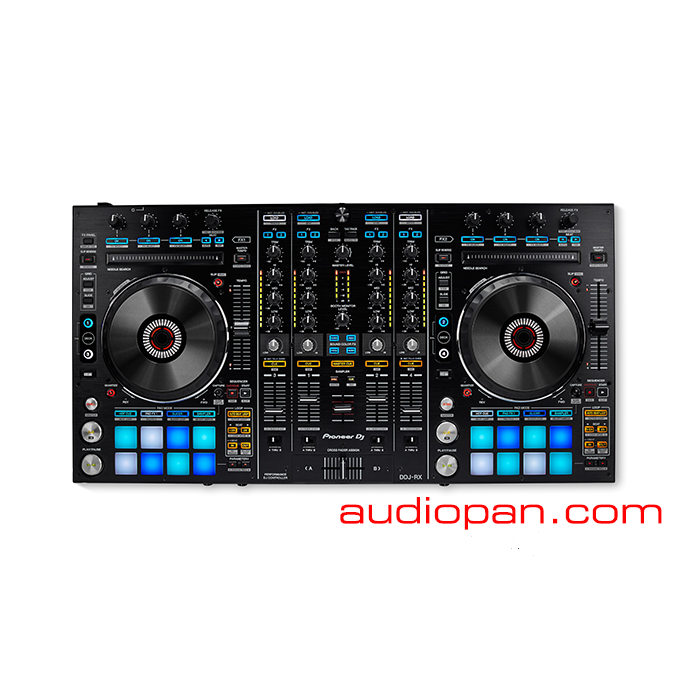 The DDJ-RX is constructed from premium materials and audio circuitry. The robust build ensures durability, while the distinctive styling and aluminium jog wheel deliver a professional feel.